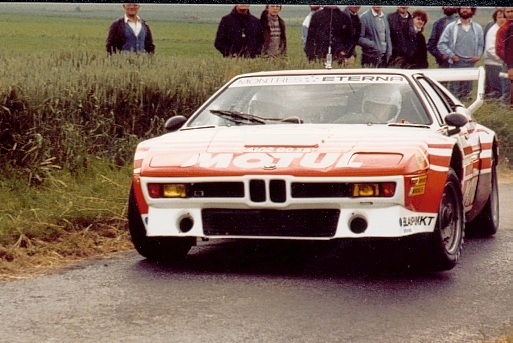 The BMW M1 first competed at world championship level on the 1983 Tour of Corsica, the same event as Lancia’s 037. Driven by Bernard Béguin, it produced 430Bhp from it’s 3.5l 6cyl engine, and weighed 1150kg. The car was run by the ORECA team and sponsored by BMW & Motul. The car retired from the event but went on to score two second places, one on the 1983 Lyon-Charbonnieres rally and another at the Antibes rally. Main problems with the car were reliability and size. It was a good twenty cm wider than anything else competing at the time. The car never competed on a gravel event. The BMW Motorsport department was tasked with designing and building a powerful, lightweight derivative of the three series. 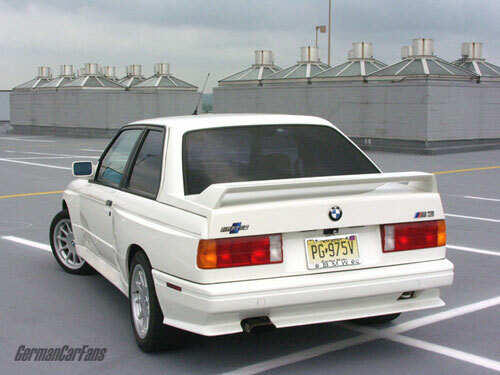 The purpose of the M3 was to compete in the FIA Group A racing. 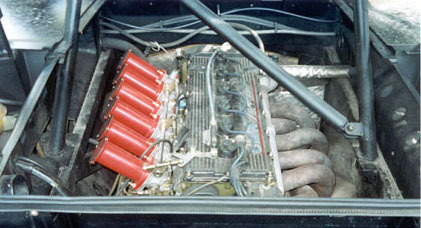 Over five-thousand examples were hand-built by BMW Motorsport.